On arrival at Mfuwe airport you will be met and transferred to Flatdogs Camp, about a 20 minute drive. Mfuwe is accessible on direct flights from Lusaka. You will stay for 3 nights at Flatdogs Camp in a Luxury tent including all meals, game activities and park fees. Activities offered here include game drives and walking safaris in South Luangwa Park. Flatdogs has a wonderful wild setting surrounded by lots of bush. It is located just outside the park but the only boundary is the river and animals frequently swim across this and roam through the camp! All tented rooms have river views so you are perfectly placed to watch all action from the comfort of your room. On our last stay we were awoken in the morning by a herd of elephants swimming across the river! It is one of the closest lodges to the main park gate so you are able to get into the park very quickly on the game drives. This area has some of the best game viewing in the park and leopard sightings are a particular highlight. Today you will transfer to Three Rivers Camp, about a 2 hour drive. This really is a gorgeous camp and the tented rooms here are quite indulgent with views onto the river. The gauze walls give them a wonderful open air feel whilst keeping the bugs out! They also have indoor and outdoor showers. The real highlight though is the sleep out deck attached to every room that allows you to sleep out under the stars with just a mosquito net to cover you. It does not get much closer to nature than this! Three Rivers Camp is located just outside the park by the river in the remote southern section of South Luangwa Nationalpark. There are no other lodges nearby so you have the area to yourself and you are unlikely to see any other vehicles on the game drives. So it really is an exclusive experience. You will stay 2 nights here including all meals, drinks, park fees and activities. These include game drives and walking safaris in the park. Due to seasonal opening this tour is only available from May - October. Today you will transfer back to Mfuwe airport for your onward flight. Alternatively, if you would like to make your safari longer then do let us know and we can advise on some wonderful options to extend it! 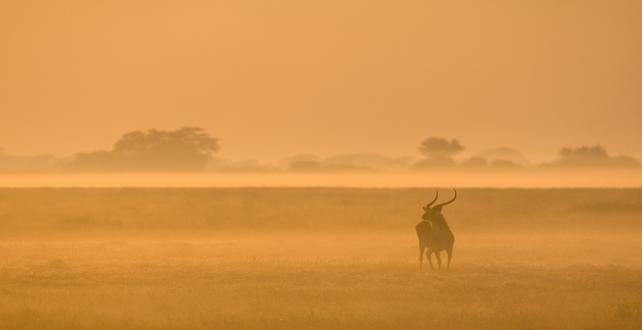 Featured Benefits: South Luangwa is one of the 'hidden gems' in Africa. It gets less visitors than other parks and yet offers some of the most spectacular game viewing in Africa and the lodges are great value for money!